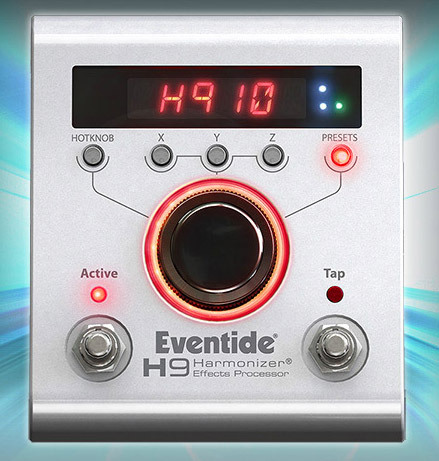 H9 Harmonizer, Multi-Effects for Electric Guitar from Eventide in the H9 series. 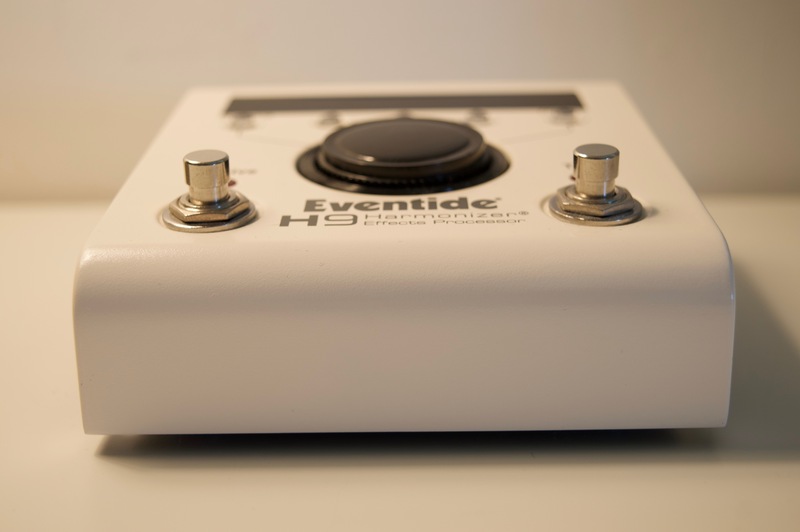 Reiep's review (This content has been automatically translated from French)" New with the (good) old"
Basically, take the 4 pedals of Eventide Factor series, put them in a smaller and you have the H9 box. With two twists! The first is that only a portion of the algorithms is available by default, the rest must be purchased separately (18 EUR algorithm). I would have appreciated more embedded algorithms or a lower rate. The other twist is controlled via iOS or PC, which greatly simplifies the situation. Note that you can not use an algorithm at a time. Damage. But some algorithms are very versatile and replace several effects. 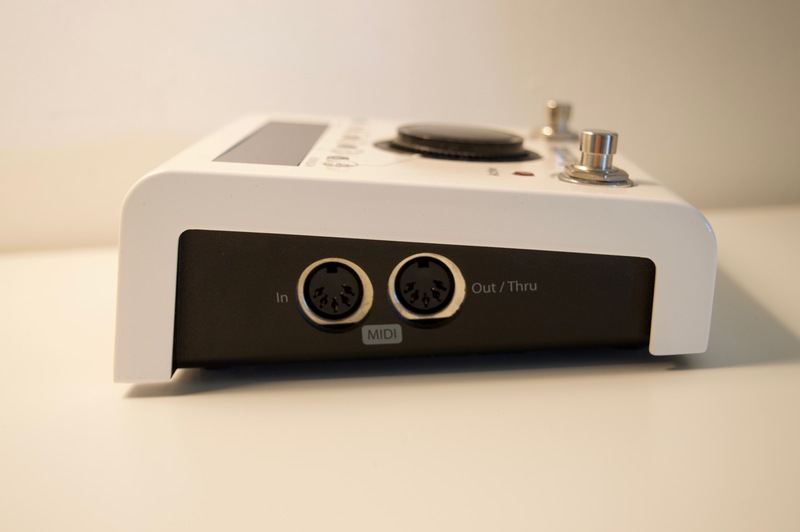 For the rest we have stereo inputs / outputs that accept line level and instrument, MIDI input / output, very classic. All features are on the Eventide site. Little less reliability level: a segment of one of the alphanumeric display strangely off by itself after a few minutes of use. Start at the low point of the H9, direct control over the pedal. You can do anything, but it is not very "user friendly". on the other hand, with control via PC or iOS, it changes everything. I knew the pedals Factor, I saw it as a gimmick at first, but we quickly took to the game and an iPad is a real pleasure. Playing, it is a pedal to control via MIDI or the auxiliary pedal, otherwise it is not very easy to get to scroll presets AND the tap tempo. These are exactly the same algorithms as the Factor pedals so you already find a lot of literature on AF on each. There are two algorithms dedicated to H9 (Ultra Tap and Resonator). Algorithms delays, reverb and pitch shifting are great especially those of modulation are quite neutral and suddenly without much personality, which is like ... or not. Many will blame the H9 completely convert the signal to digital, I have not entedu / felt difference in the loop of my Hagen. Overall I am pleased with this pedal. I already owned the Time and ModFactor, and I always regretted having sold. I'm not a big user of effects so one algorithm at a time is enough for me in 97% of cases. The biggest black point is the price of algorithms. 18 EUR is both expensive (they had to be recouped from the time between Factor, Eclipse, etc.) and cheap (with the cost of a new pedal). There are occasional promotions, but a dozen euros less did not hurt. clad666_jack's review (This content has been automatically translated from French)" Incredible! 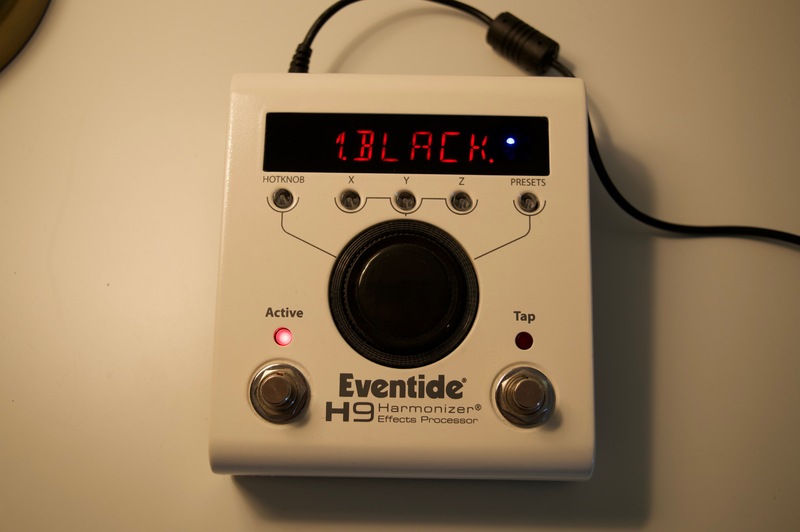 More ..."
Pedal at the famous Eventide, reputation is more to do, it can make sounds very good both for guitar, bass, sinthé. Very easy to use, look in the manual (in English) and it's cake. That is to say, you can easily get to switch between banks, change the preset accorter his guitar, etc.. The plus is that little change effects on computer by connecting via USB or if you have a tablet or an Apple phone, it is also possible to edit via Bluetooth. Good to be clear, I have the PitchFactor and Space and I wanted to use it for modulation or delay. 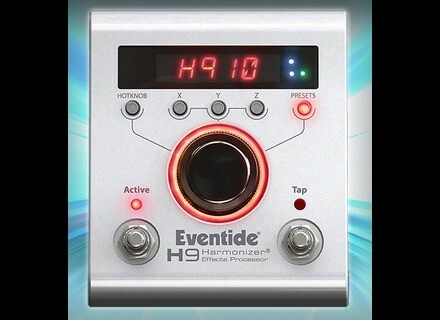 Paris won for eventide because the sound is really great. Small black dot for some effects ModFactor are cold enough ... but hey we're not going to spit in the soup. Second black point is that buying pedal effects embarks 9 (a chorus, a tremolo, two types of harmonizer, two types of delay, a shimmer, a Hall, and Ultra tap) is not bad but ... benifit for other effects (eg, I want to Blackhole, clean the space reverb or if I just add the algorithm. phaser, algorithm) must bein board at checkout, so despite the € 570 that the listening beast, is that access to a quarter of the algorithm, otherwise it costs € 18 per algorithm (there are more than thirty). then certainly, there way to try before you buy but when you see the price of this beast is clearly theft. 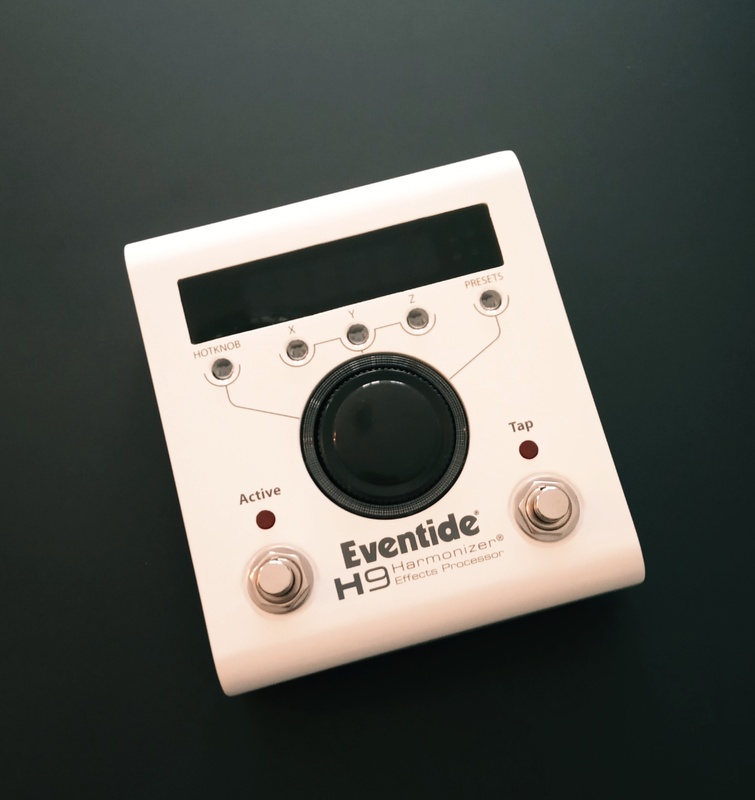 User of the Eventide H9 digital multi-effect pedals can now download a new overdrive and distortion algorithm called CrushStation.